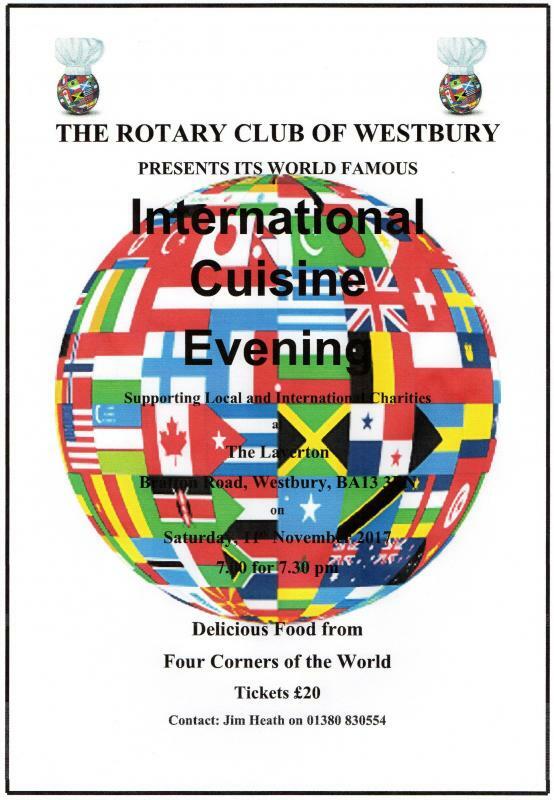 This Year’s International Cuisine Evening (ICE), run by the Rotary Club of Westbury, was a successful sell out. The annual event has become so popular that the tickets were snapped up almost as soon as word got out that the 2017 ICE would be held on 11th November. 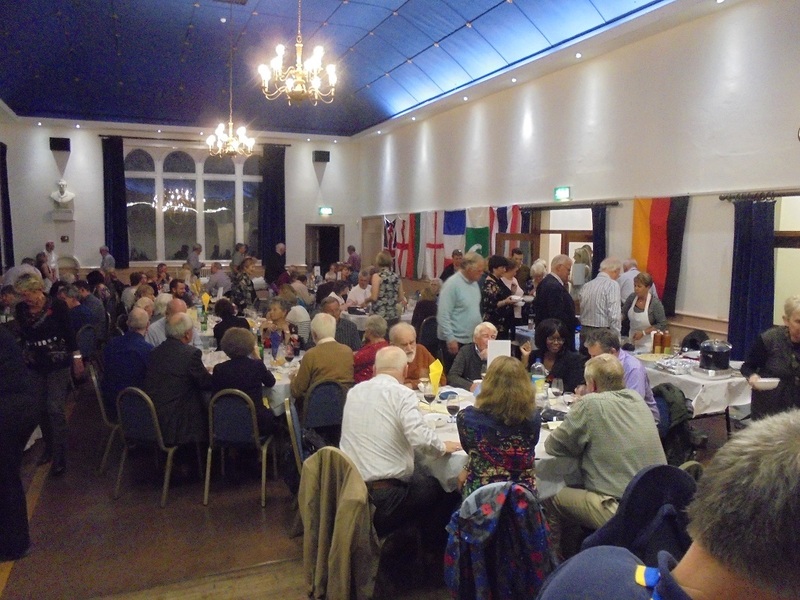 Sadly, many of the club’s regular supporters heard about the event a little too late, but the Rotary Club felt it best to keep the numbers within the comfortable capacity of the Laverton, rather than over extend. This year’s theme was based on cuisine found in some of the mountain ranges of the world. 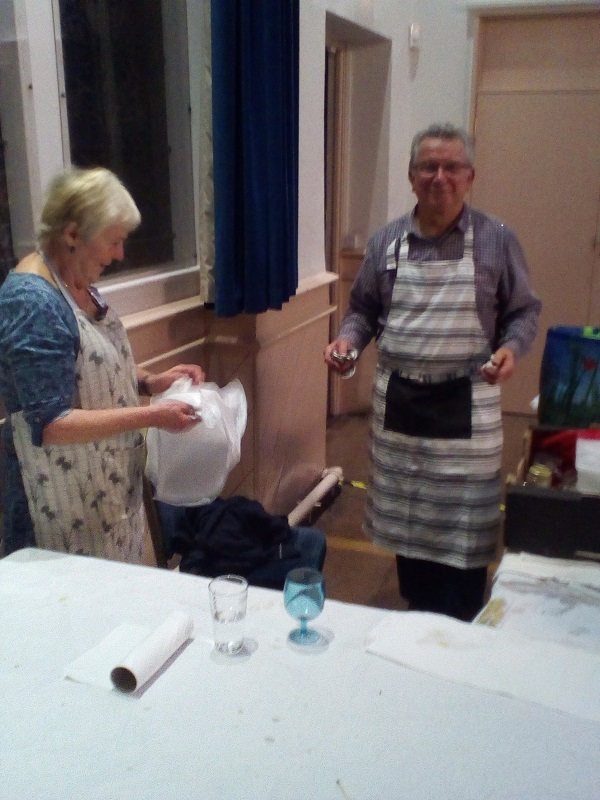 So the Ladies of Westbury Inner Wheel chose a menu from the Andes :- Quinoa Mint and Mango salad, followed by Chipottle Black Bean Stew and ending with a version of Banana cake. Julian and Lou Sandoe took their inspiration from the Catalonian region of the Pyrenees with Escalivada, a Catalan Beef Stew and Crème Catalonia. 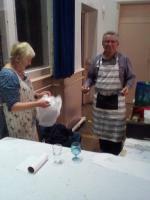 Martin Holbrow and Jean followed Bavarian recipes to present Wurst and Egg salads, Sweinbraten and Kaiserschmarn. James Elder and Karen brought Himalayan dishes to their corner with Tibet’s national dish, chicken momos then Nepali Mutton Curry and a Tibetan Rice Pudding. 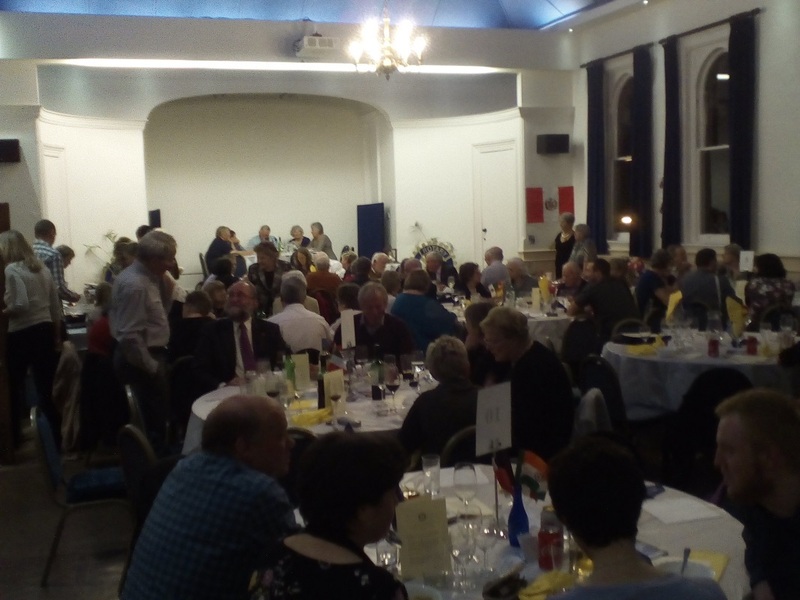 Almost 100 diners who packed in to the Laverton on Saturday enjoyed the twelve course tasting menu (4 starters, 4 main courses and 4 sweets), and many even had capacity to have second helpings of their favourite dishes! 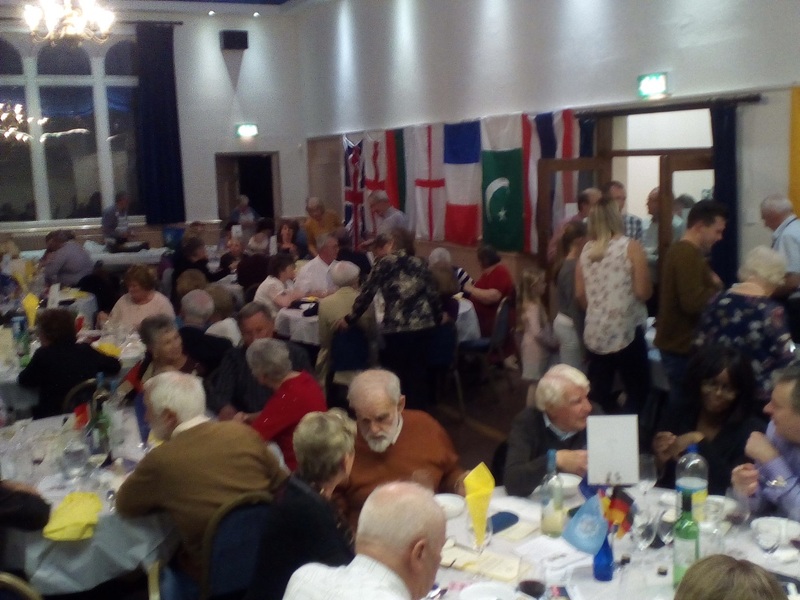 The event has raised money for charities supported by the Rotary Club of Westbury, which include the Julia’s House children’s hospice in Devizes and the Shree Saraswoti Schools project, which is rebuilding schools destroyed by the 2015 earthquakes in Nepal. Please look at www.westburyrotary for more information.